We sit here eating from the other side, watching black magic be the currency you trade. DOOMSQUAD is a Toronto-based art project made up of siblings Trevor, Jaclyn, and Allie Blumas. 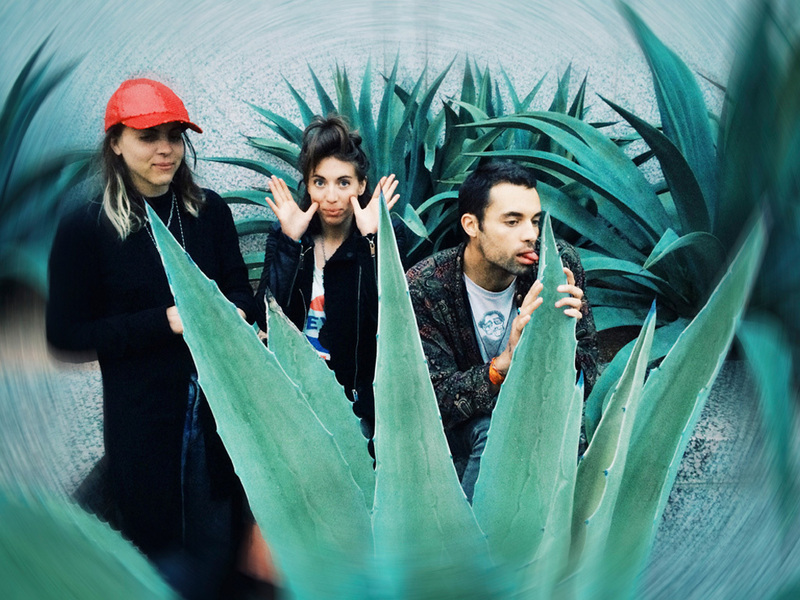 The trio create experimental dance music that’s heavily indebted to trance and psychedelia. As interdisciplinary artists, the band brings a wide range of influences to bear throughout their work. From far-reaching global beats to the sounds of their local community, it’s all thoughtfully curated and channeled into a project of immersion and unity. The result is a mesmerizing sonic landscape of dynamic repetition. DOOMSQUAD constructs a contemplative space for deep listening, within the music and within yourself. “Pageantry Suite” is a collaborative project between DOOMSQUAD and Toronto visual artist & filmmaker Chris Boni. This EP offers a call and response between its musical content – a two-part dance suite and a bonus track – and its visual content: the album cover and the Suite’s two accompanying videos. Deploying methods of subversion by hijacking certain pop conventions, DOOMSQUAD plays on notions of accessibility and nostalgia to deliver biting cultural criticisms in a pretty package.